Belief is not always easy. This is true for both Christians and those who would not claim to follow Jesus. At Holy Trinity Church we recognize this and want to be place where you can explore and ask question concerning who Jesus is, and what it really means to follow Him. In order to address some of these questions we would love to have you visit one of our services, as well as look through the resources and groups discussed on this page. Science and faith are often seen as contrastive. However, in order to help people think about how science and faith can rightly interact Holy Trinity Church hosted and filmed five conversations at the University of Chicago. The sessions were led by scientists and historians from across America, chosen for being both respected academics and openly Christian. Looking for a safe place to ask questions about Jesus, the Bible, and God? Christianity Explored is a 7-week course designed for just that, to be a place where you have time and space to think through who Jesus is and why it matters. The course is offered at different times and in different places. No matter where you are in your understanding of Jesus, one of best ways to discover (more) about Jesus is through reading the Bible with someone else and discussing what it means. If this is something you are interested in doing, please click here. 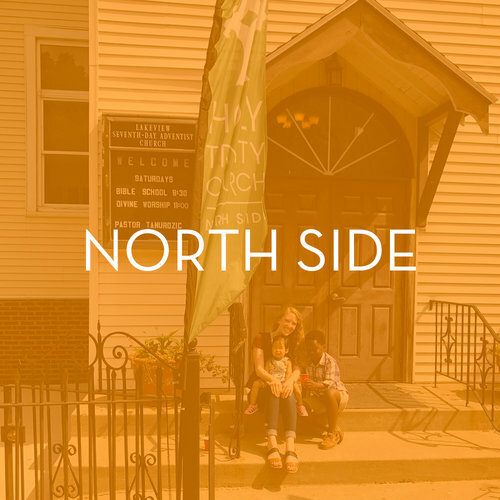 Each week members and attenders of Holy Trinity Church meet in homes to eat meals together, pray together, discuss the Bible, and explore more and more what it means to follow Jesus Christ. These groups are spread all over the city of Chicago and are open to all who wish to join them. For more information about community groups please visit one of our congregations community page.